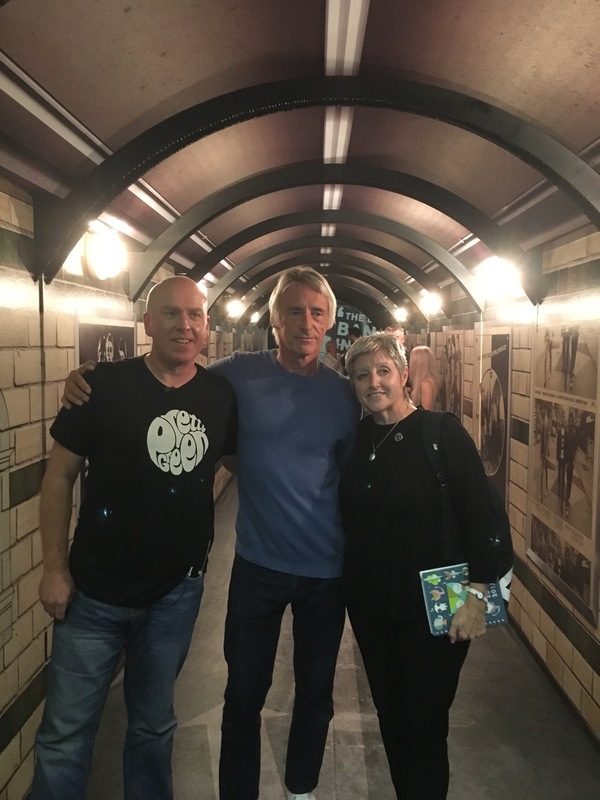 Tunnel Vision: Den Davis with Paul and Nicky Weller at Liverpool’s About the Young Idea exhibition. When a 1,500kg truck bomb was detonated in central Manchester in June 1996, the collateral damage included a vast collection of vinyl rarities belonging to Den Davis, collector and avid fan of The Jam. A few weeks passed before Den was allowed anywhere near the Corn Exchange building where his records were on display, and as it turned out, what the IRA hadn’t managed to destroy fell victim to the subsequent emergency operation. “My mate Paul Ladley owns Clampdown Records, and I’d bought loads of things from him over the years. We had loads in common, kids of a similar age, the music and being Man United fans, following them home and away. “We were hosting the European Championships that summer, and Paul wanted to do something different with his shop, which was in the basement of the Corn Exchange. I agreed to display my vinyl collection, acetates and all. Thankfully I left my memorabilia safely at home. It was the biggest bomb detonated in Great Britain since the Second World War, targeting the city’s infrastructure and economy and causing damage estimated by insurers at £700m. The IRA sent telephoned warnings 90 minutes before the blast, with at least 75,000 people evacuated from the area, the bomb squad unable to defuse the device in time. More than 200 people were injured but thankfully there were no fatalities from a Saturday morning blast the day before Germany took on Russia at nearby Old Trafford. 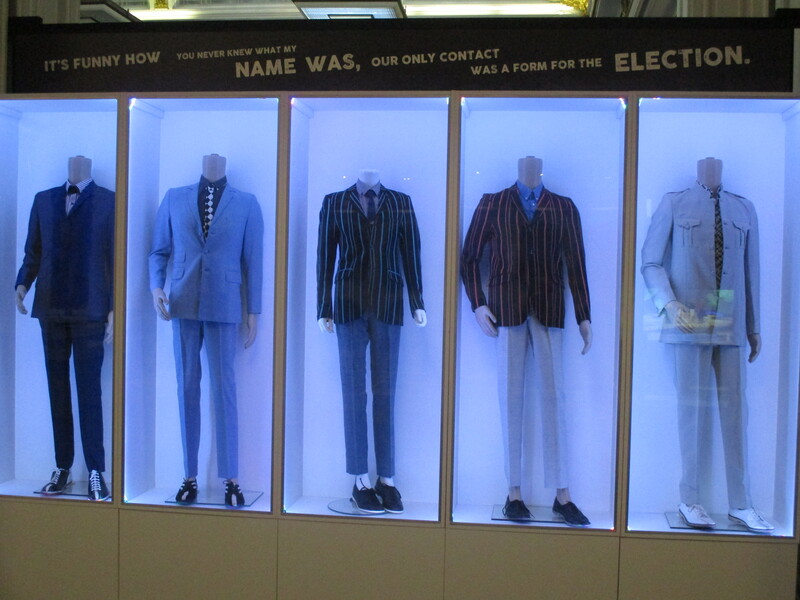 For Den it certainly marked the end of an era, the biggest collection of Jam memorabilia lost to the world, its owner distraught and initially despondent. But come the year 2000 he’d started again, and over time his collection grew bigger than ever before. So was that the spark that made him start collecting again? A new millennium’s resolution? 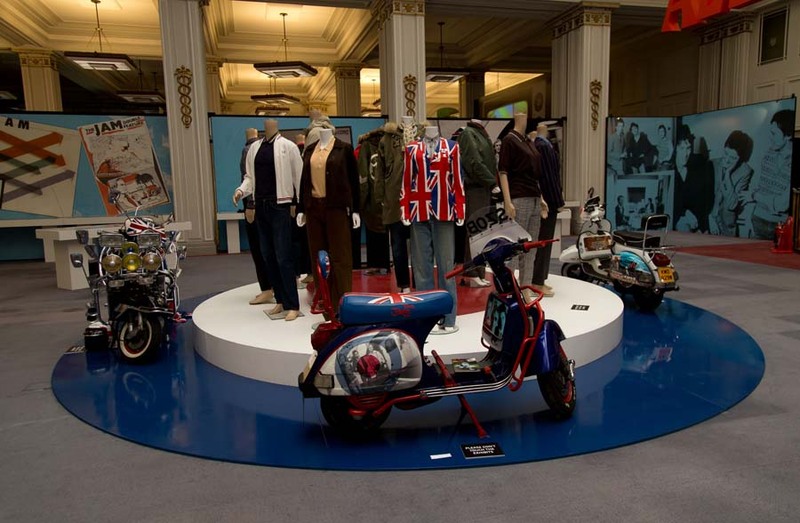 That resultant new collection was the cornerstone over the last two summers of an exhibition of Jam-related memorabilia on display at Somerset House in London and then the Cunard Building in Liverpool, with plans to run another this year too. Den, based in Stalybridge, had collected records and other memorabilia related to his favourite band for around 15 years at the time of that initial blow, an obsession that grew out of hearing The Jam’s records and knowing instinctively this was his band. He first got to see Paul Weller, Bruce Foxton and Rick Buckler live at the Apollo in Ardwick in 1979, another defining moment, and was soon collecting anything he could related to the band. And by the time he’d splashed out on a US promo single of The Butterfly Collector on yellow vinyl, snapped up from a record fair at the back of Piccadilly Records in his home city, he was hooked. 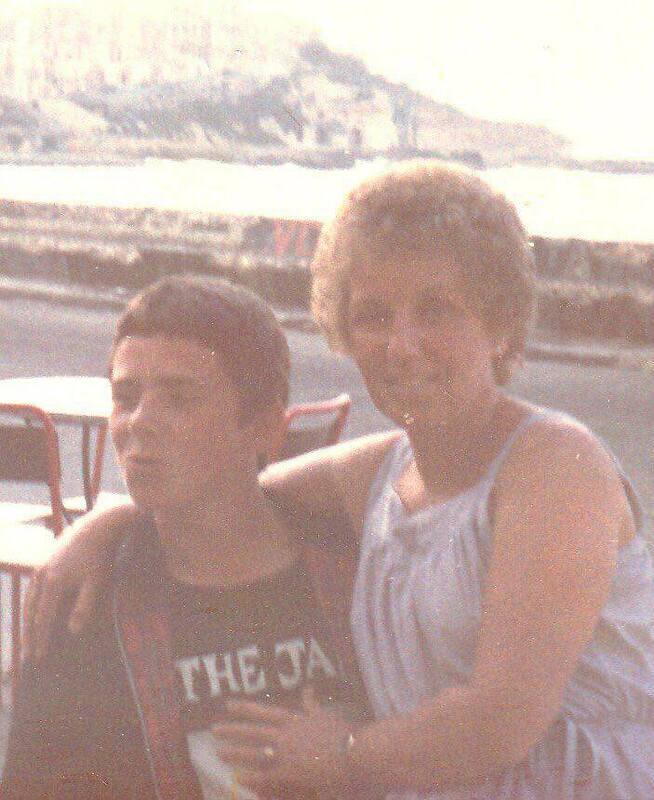 “There’s a picture of me from the summer of ’78, aged 11, wearing my first Jam t-shirt. 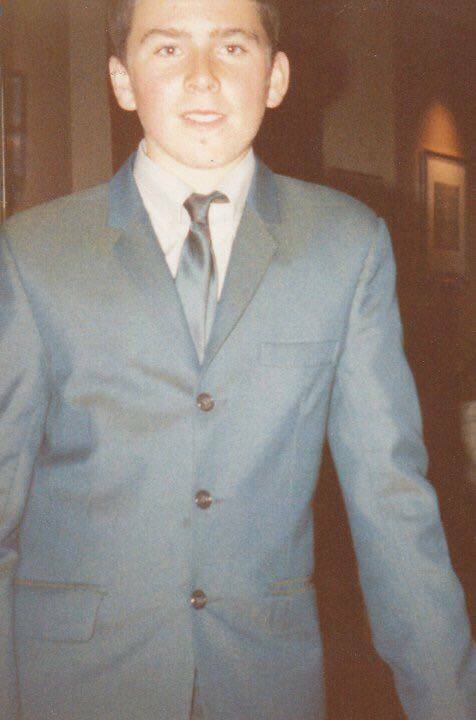 My brother was 16 and had got into going into Manchester with his mates, and the whole punk thing had taken off. He got into The Jam, and once All Mod Cons came out I couldn’t wait for him to go out as I’d be playing it to death in our bedroom. “I was a half-decent footballer and played a couple of years up, so was welcomed by the older lads, and my brother reluctantly let me go along to see The Jam on their Setting Sons tour in November 1979. I managed to crawl my way to the front against the stage, the night Paul Weller wore that infamous black and white suit. I just remember not being able to breath. I couldn’t wait until the end of the show when the mass of bodies moved back. A gig’s simply not the same if you’re not among it all at the front and I still do that to this day. Did he get to meet the band and their manager (Paul’s dad) John Weller around then? The second of three children to a Mum and Dad he described as ‘rock’n’rollers’, Den’s the same age as this scribe. And while my Sound of the Suburbs emanated from Surrey – land of The Members, The Stranglers, The Vapors and a certain three-piece from Woking – there was plenty going on in his own sweet suburbia too, not least Buzzcocks and all who followed in their wake. His passion for The Jam has clearly never left him, but what about his day-job over the years? Is Nicetime Productions, the company responsible for About the Young Idea, and his work with the Universal Music Group (as archivist for The Jam) a full-time vocation now? “I got into my own band in 1983 and have always stayed involved in music, production and management. I have a large residential studio set-up near Manchester. I used to keep diaries and that led me to writing a film script and book that got all this started. I went to see Universal in 2009 to discuss all the ideas I had and it went from there. 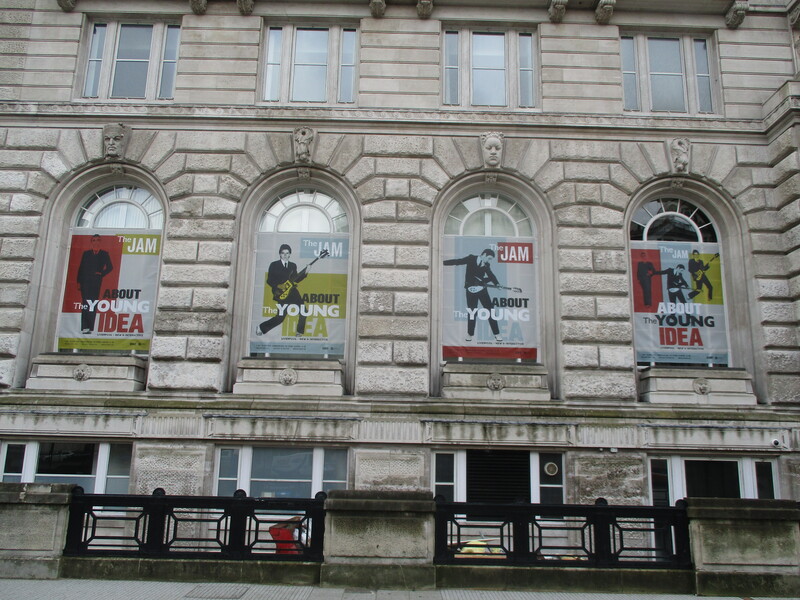 A few months after the doors finally closed on the exhibition at the Cunard Building in Liverpool, can Den sum up the experience for himself and the rest of the About the Young Idea team? Any particular highlights spring to mind? The Cunard exhibition opened to the public on July 1st, 2016, but I’m guessing he was there putting things together a lot earlier. As a Manchester lad (and a United fan), did it stick in your craw a little that the exhibition went to Liverpool? Or was that the obvious choice with the Beatles link and so on? “It was my choice, and it had to be Liverpool. I’ve got loads of musical Scouse mates. Though it wasn’t like that back in Deeside Leisure Centre watching The Jam. It was more a football mentality back then. There was clearly a lot of planning. Could he ever have imagined how much was involved? For much of the Liverpool run, he was lift-sharing with neighbour, fellow Jam devotee, exhibition helper and lead singer of The Transmitters, Dave Lees. But how many hours does Den reckon he’s devoted to the exhibition and tie-in events over the last two years? And has his family understood that devotion? Incidentally, talking of his lads, both followed Den’s lead into the music industry, with Chez 23 and lead singer of a band called Y.O.U.N.G and his eldest, Louis, 28 and a pro drummer who’s ‘turned his hand to innovative tech development’. How many visitors came to the Liverpool exhibition, and how did that compare to the numbers for Somerset House? I got the idea from a previous conversation with Paul’s sister, Nicky Weller, that as co-curators you had a lot more say in what went where than at Somerset House, and could change the exhibits as you went along. She also told me last August, ‘Fingers crossed it makes a bit of profit, otherwise me, Russ (Reader, her partner) and Den are going to be doing this for nothing’. So did they break even? Some big names showed up, from all three band members through to Blondie drummer Clem Burke. Who else springs to mind, and did he get to have a chinwag? What about the end of run celebration concert? How was that experience, and what were your personal highlights on the night? In talking to visitors, what seemed to go down best with them? In the BBC’s Inside Out feature, former Brookside actor Simon O’Brien, visiting the Liverpool exhibition, introduced Den as the owner of the largest collection of Jam memorabilia. So what percentage of the exhibits was down to him this time? As he suggests there, more pieces were provided by the Weller camp this time. Was that exciting for him, seeing some of those items for the first time, such as Paul’s school exercise book jottings. Quite a few items were sold off after the exhibition. What fetched the most? From his own collection, are there specific items he couldn’t bear to be parted from? Some of the items on display couldn’t have been easy to transport, such as the All Mod Cons target feature. Did any end up going home with him and cause his better half to give him grief for taking up too much space? As a collector, are there items out there that he still has his heart set on tracking down? And was this exhibition a good way of proving to the world it’s all been for good reason? Looking forward, have they decided as a team where’s next for the exhibition? There was talk of overseas offers from Nicky Weller. And would it ever be on the same scale again? For the writewyattuk verdict on 2016’s About the Young Idea at the Cunard Building in Liverpool and this site’s feature/interview with Nicky Weller, try here. 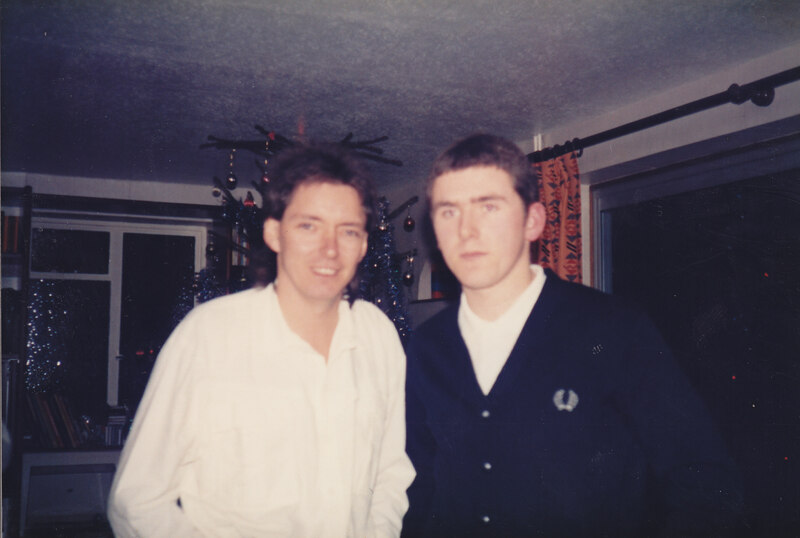 Furthermore, for a number of past Jam-related features on this website – including two interviews with Bruce Foxton and others with Rick Buckler and From the Jam’s Russell Hastings – just type The Jam in search, top right of the page. Finally, to keep up to date with About the Young Idea, follow this Facebook page. You can also keep in touch via Twitter. This entry was posted in Books Films, TV & Radio, Football, Music and tagged About the Young Idea, All Mod Cons, Brighton, Bruce Foxton, Corn Exchange, Cunard Building, Den Davis, From The Jam, John Weller, Liverpool, Manchester, Nick Heyward, Nicky Weller, paul weller, Rick Buckler, Somerset House, Stalybridge, The Jam, The Style Council, Y.O.U.N.G.. Bookmark the permalink. Thanks Marc! Appreciate your support. All the best. Really loved the Cunard exhibition. Went to the Q&A and was lucky enough to ask Bruce a question. My earliest gig was at the Poplar Civic in ’77, and I was amazed to see a hand-made booklet/programme for the show under glass in the exhibition! Nice one. Yes, a veritable feast of memorabilia on show, eh. Thanks for the feedback, Dave. Went along with my bro and othe lifelong jam fan and had a great time both at the exhibition and gig later That evening. I must admit Re being totally engrossed in the video streaming room. There as a video on of a gig live at the rainbow where can I get a copy of that ?? I’ve never seen it before it was class. A fantastic exhibition and I bumped into Nicky too and of course she obliged witna picture too which really made my day. Thanks again to all involved. Word comes back, Stuart, that it’s not available, I’m afraid, but ‘maybe one day’. Here’s hoping, eh. Thanks for that, it seemed pretty good footage to be honest and would make a great addition to any jam fan collection especially mine lol. So who owns it do you know? Think the Nicetime Productions team are the best to try, Stuart. Hopefully some time. Popped then an email fingers crossed .